Ted, ready for his massage. Being invited into someone’s home is always a great honor. I’ve been to very grand, lavish homes, and I’ve been to more modest abodes. Guarded gates, apartments, two-story walk-ups, and estates. But the feeling is the same: Your home is your sanctuary and you’ve invited me into your space to help maintain your wellness. I try to keep my transportation costs as low as possible, while also accounting for the travel time when I’m not massaging. Some therapists only work in a brick and mortar facility – they can massage 6+ hours a day, increasing their income. Some therapists only do mobile massage, foregoing the overhead of rent and other facility operating expenses. Me? I keep both. Why? For you. Some clients can only relax outside of their home. Some really enjoy the convenience of me coming to them. So I try to create a balance in my business to keep everyone happy. Yep, I’m a people pleaser. Side note: I only charge one transportation fee, so if husband and wife want massages at home, or you have company visiting and want to indulge in a little relaxation treat, there only one transportation fee and my regular rates apply to all massage services. I treated a mother who was having the hardest day with her baby. I walked through the front door and he BEAMED at me. Flashed is beautiful blue eyes and gave me the biggest grin and giggle! She looked at me in disbelief and she may have been a little peeved. He had been a terror all. day. long. She just shook her head and told me she may never let me leave. In a separate home I started to set up my equipment in the toddler’s bedroom. At the age of three, he did NOT like me being in his space and launched into a mini-tantrum (not super relaxing for mom and dad). I knelt down to talk to him and I promised that I wouldn’t touch any of his stuff and that I’d clean up all my mess and it would be exactly as he left it. With his permission, I was able to set up for the massages. It took a few extra minutes, but it was well worth it. Oh the dogs! I think my clients’ dogs are the BEST. There is one super duper standard poodle who loves getting a little massage after his mommy gets hers. He leans on me and looks at me with his beautiful brown eyes and I just adore him! I’ll always take some time to share some massage love with the pooches that like it. Cats. Cats are tricky little buggers. Including my three cats. Felines tend to be at either end of a broad spectrum: they are terrified and want NOTHING to do with me. OR they want to be in the middle of EVERYTHING. It’s the latter that’s tricky. 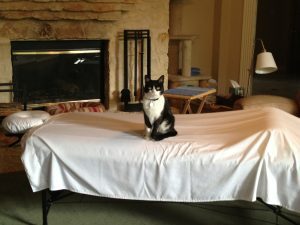 When you’re receiving a massage and the cat jumps on the table it can scare the bejezus out of you. That kind of undoes my work, which is a total bummer. There is an adorable kitty, who after months and months of me visiting, finally warmed up to me and will now allow me to touch her. On a particularly chilly morning, she hopped onto the foot of the table and nestled into the feet of her owner. Yes, it was adorable. Even the most curious kitties will usually settle down and be content to observe me from a distance. So thank you for inviting me into your world – it’s always a pleasure for me! One of my favorite things about massage is that I get to be out and about. 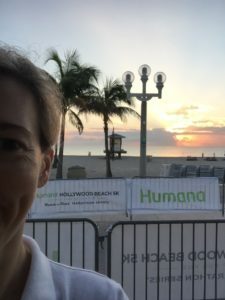 Earlier this month I was lucky enough to be able to provide pre and post race massage at the Humana 5K in Hollywood Beach (#startwithhealthy). Humana teamed up with the Rock N Roll Marathon Series to provide a free series of “tune up runs” to preempt the half and full Rock N Roll Marathons in cities around the country. This was one of the smaller races I have provided massage services, but it was full of great energy. There were many first time runners there, and several young runners too. As one of two massage therapists at this event, we were there at 6:00am to set up (yes, this required me to get up at 4:30am, I was sleepy, but that’s why the Universe made coffee), and we were massaging from 6:30am until the race started, then had about a 20 minute break until the first runners started coming in, then we worked on those sweaty legs until 10:30am! The post race concert provided by Hit The Slide played great rock and roll. I got caught singing and grooving to a little cover of Billy Joel (sometimes a girl just can’t help herself). I really wish they had a live feed posted – everyone really enjoyed them. Humana also had exercise bands, rollers, and other equipment to help runners work out the kinks post race. Beverages and healthy snacks were free. It was a good turn out and I’m looking forward to next year’s event. This is the third year I’ve worked the Best Buddies Challenge bike ride in Miami. This is the third in a series of three bike rides across the country. This 62-mile ride starts and ends at Marlin’s Park. Massage was provided post-race in the locker rooms. No, I’ve never been allowed to run the bases, but hanging out in the locker rooms is pretty cool (even if they are no baseball players there). There are abut a dozen therapists at this race, so lots of opportunity to loosen up those muscles! The new year brings more events including the annual Fort Lauderdale A1A Marathon on Sunday, February 19, 2017. I’m excited to be part of the team assembled by Rx Massage Therapy for Pre Race / Expo Massages (Saturday, February 18) and Post Race Massage. If you will be racing and are interested in kinesiology taping you are welcome to contact Rx Massage Therapy. One of the things I love the most about what I do is the places I get to go. 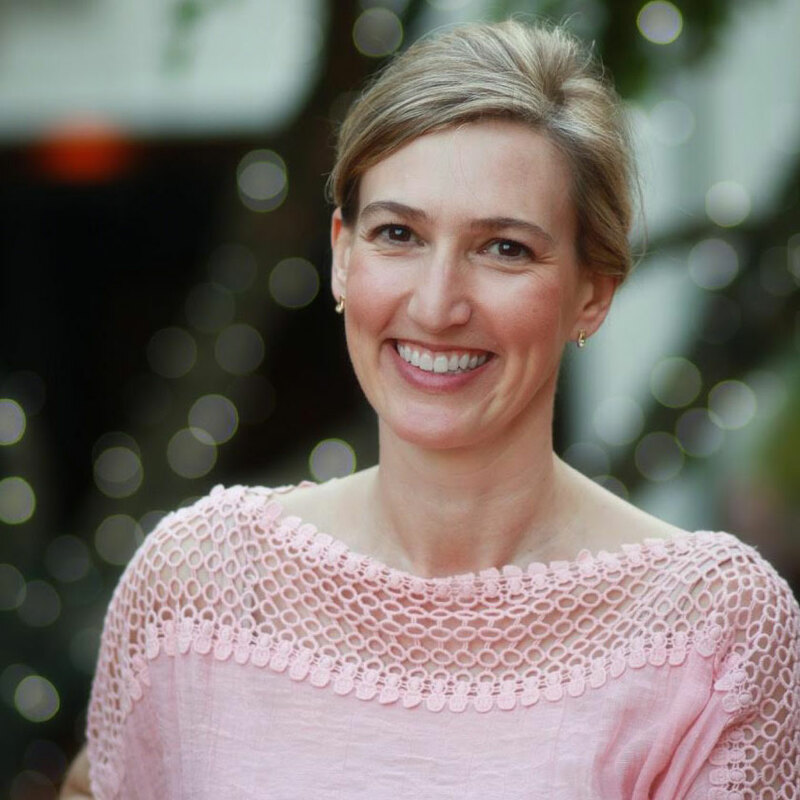 People imagine massage therapists in dark, lavender laced rooms all day long; and therapists do that. Personally, I love being out and about, which is why I love chair massage. I drag that baby anywhere and everywhere. And yes, massage took me to jail. Several times. 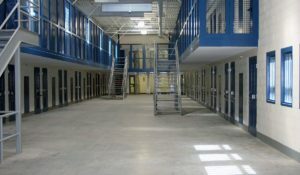 As an independent contractor, I have been able to visit jails in Laredo, Texas, Pearsall, Texas, South Bay, Florida, and Moore Haven, Florida. A technicality I sometimes forget to mention: I do NOT massage inmates. I repeat: Inmates do NOT receive massages. They do have AC and in some locations, Dish TV, but no massages for breaking the law. The massages are provided as part of a health fair for the employees, usually during Correctional Officers’ Week, and we are typically there to cover portions of each shift. This equates to an 8 hour day for me, which is a long day for massaging, but the traffic ebbs and flows, so I can still move by the end of the day. Each facility serves a different purpose, which I presume requires different skill sets for their employees. I can safely say that the backs of the men and women I touch here are the most stressed out (think cinder-block walls). In case you are wondering about YOUR local jail, you’ve probably never seen it. These facilities are typically in the middle of no where. The Pearsall facility houses 1904 inmates and is an ICE facility that houses detainees “pending removal processing.” Laredo houses 1900 inmates which houses US Marshall detainees for Laredo Federal Courts. The view? Mexico. Literally. The Rio Grande flows right behind the jail. South Bay houses 1898 and is a medium, close custody facility for male inmates. Moore Haven is the smallest I have visited, housing 985 inmates in a medium custody male facility. These two facilities are surrounded by sugar cane. Because of the drive, I actually spent the night in a teeny-tiny town between the two cities. Hotel rates were in “high season” because of sugar harvesting. Go figure. They don’t mess around when you visit jail. We don’t go very far into the facility; the events are usually in the visitors area, which is not open for visitation during the health fair, so we never even see an inmate. However, we can only bring in the bare minimum for the job and some food for the day. No cell phones. Yes, I said it, no cell phone for 8 hours. ID is left at the desk and you are issued a visitor’s badge and in some locations a personal alarm device which must remain clipped on you at all times. You go through a metal detector and there are pat downs at some facilities. All of the facilities have been very well run and it’s always a great pleasure to provide massage where people wouldn’t normally receive it.